Author Fahad Usmani, PMP, PMI-RMP is a blogger on Project Management topics. He writes on his blog PM Study Circle to help professionals with PMP Certification Exam Preparation. To become eligible for the PMP Certification exam, you have to earn 35 contact hours of formal Project Management Training. This is one of the few conditions that PMI (Project Management Institute, USA) has mandated to apply for the exam. There are many ways to earn these contact hours; however, the recommended way is to get it from any R.E.P. (Registered Education Provider) by PMI. Based on their type of delivery, a training program can be broadly divided into two categories: Classroom or Online training. Classroom vs. Online: Which is Better? In a classroom training program, you will first have to make sure that you can spare four to five days for their scheduled training dates, providing seats are available. If things go well, you can register and join the training program. After completion of the training you will get the certificate of attending 35 contact hours program. The only requirement for an Online Training Program is a computer with Internet access. Once you make the payment, you get instant access to the complete training program. These providers supply 30 to 90 days to complete the training program. You login into the system, watch the video and submit a questionnaire, if any. You are free to complete this training around your schedule. Some providers give you an option to download their video based lectures on your computer’s hard drive. Watch it, fill out their questionnaire and send to them. After reviewing your questionnaire, they will send you the certification of completion. So now the Big Question—which one is better? Cost: Classroom training programs are generally very expensive. Their cost varies from $1,000 to $4,000, or sometimes even more. The upside to this is some classroom training programs provide a 100% guarantee to pass the exam. If you failed in first attempt, they will pay your test fee and if you fail again, they provide you further assistance to pass the exam. However, they are still costly. On the other hand, the cost of online training program is much less. Programs start from as low as $50. Convenience: Classroom training programs are not always readily available. They are usually held in big cities where training providers can get a sufficient number of students. You may have to commute a long distance to attend it (I travelled 600 km for this purpose!). This alone may be a big enough inconvenience to not make it worth your while. Online training programs allow you to earn contact hours from within your own home. Schedule: Classroom training programs are conducted several times a year. You have to check if you’re free or you can spare four to five days to accommodate their fixed schedule dates. Online training programs have no such schedule and can be joined anytime. Limited Space: Classroom training programs have limited seats availability. You must be sure to register early to ensure a seat. There is no such limitation with an online training program. Value of Training: If the trainer is well experienced, knowledgeable and charismatic then you can learn a lot from his or her experience and knowledge. Content for online training program is the same for all and usually does not change. Active Participation: In classroom training discussions are very interactive. By participating in these you can learn a lot from your classmates and make connections with others. Online training programs lack social interaction and learning from other students. For some, this may be a serious deterrent to learning. then you can consider class-room training program. 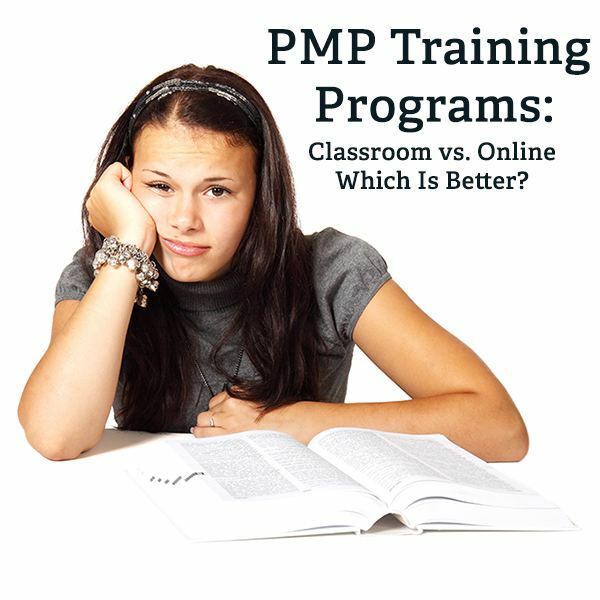 Otherwise, I think that online training programs are more suitable than the classroom training programs. What’s your opinion?